Hospitality Marketing Concepts (HMC) has a singular focus: being the world’s leading provider of premium loyalty programs to over 1,250 hotels worldwide. For nearly 30 years, we have concentrated on partnering with some of the world’s best hotels and increasing their business by creating databases of loyal local and global customers. Our world-class management team profitably manages loyalty programs through strategic geographic growth and investment in the development of Customer Relationship Management (CRM) systems and proprietary operational technologies. Focusing on outstanding results for nearly three decades has made HMC the world’s leading provider of loyalty marketing and database management solutions. HMC provides turnkey loyalty program solutions to hotels, from the initial concept and design, to IT platforms and mobile apps, management, marketing and CRM. VOILÀ is the world’s number one loyalty program that unites a global network of hundreds of select independent hotels, small hotel groups, and redemption partners. 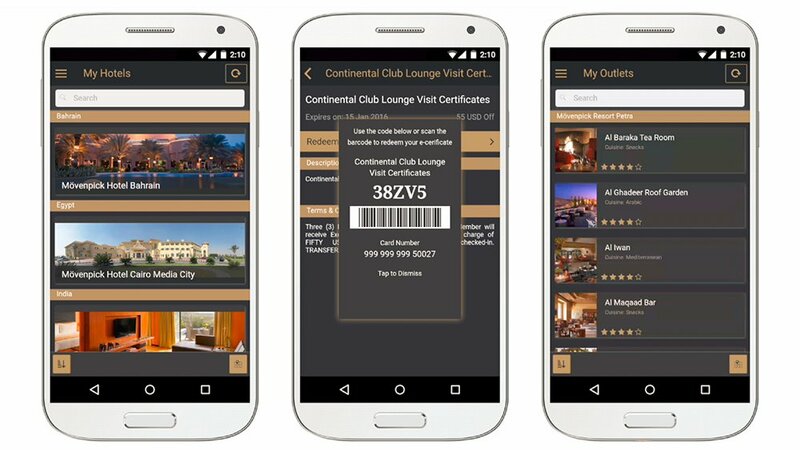 If your loyalty program is still reliant on printed paper vouchers and old fashioned plastic cards, let HMC usher your loyalty hotel into the digital era with an advanced mobile app. HMC’s global network of over 700 premier hotel and resorts worldwide that provides reciprocal benefits to members of participating paid membership programs. Whether we are fine-tuning or designing innovative new applications, HMC is dedicated to providing state-of-the-art products that increase revenue for our partners. Our CRM links member usage and customer data directly with reporting systems and campaign management tools. Real-time collection and transmission of POS and PMS data at partner hotel terminals to HMC’s CRM databases. E-Commerce marketing capabilities for all our membership loyalty programs. A completely white-labeled solution that connects members and non-members to your hotels’ restaurants.